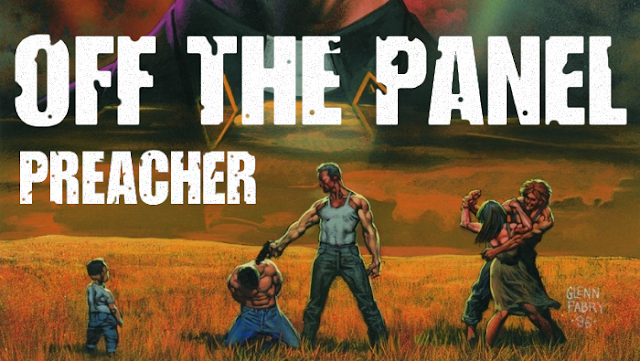 In this fabulous Two-In-One team-up, our very own Maniacal Mike chats with writer Howard Shapiro about his and artist Erica Chan's new graphic novel, QUEEN OF KENOSHA! In addition, we get into how he came to write comics after falling in love with the medium later in life, his previous work in the Young Adult arena, the financial realities of self-publishing and starting a small press unit in ANIMAL MEDIA GROUP, his love for music and how that informed both Queen of Kenosha's story and one of it's most unique features, the deep-rooted and, unfortunately, topical political themes of QoK, discovering artist Erica Chan, and much more! Strum that thinline guitar, punch some Nazis, and most importantly, listen to the interview, by clicking here! 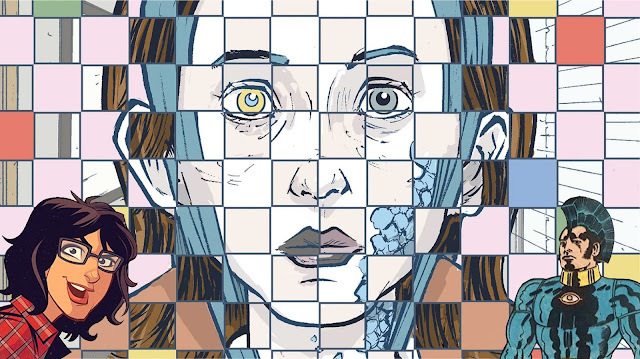 In our newest team-up episode, we talk with Eisner-nominated writer Magdalene Visaggio about her work on books such as Kim & Kim and Quantum Teens Are Go, what it's like to write for licensed properties, which comics she's been getting into, and her new Young Animal series with Sonny Liew and Chris Chuckry, Eternity Girl! 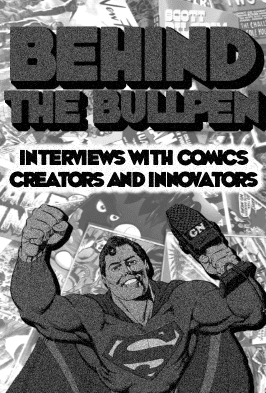 Come for the interview, stay for the conspiracy theories about OMAC. Obey the One Man Army Core by downloading here! Follow Mags on twitter here. 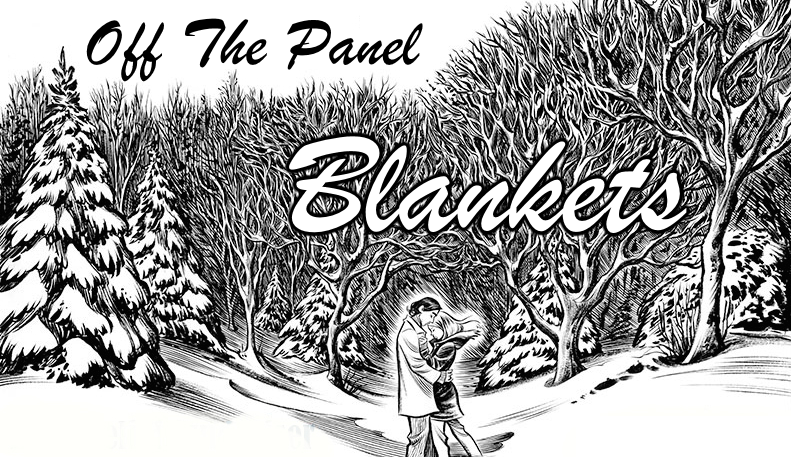 And check out her work on Comixology. 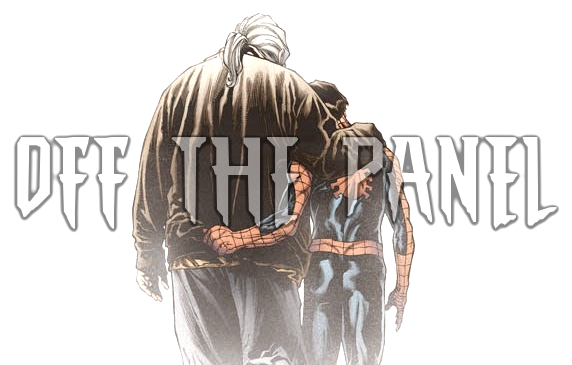 #27: "OF TWO WORLDS - Marvel/DC"
or "Brand Of Science, Brand Of Faith!" In this episode, we introduce a brand new sub-series to the show: OF TWO WORLDS, where we compare and contrast two opposing concepts from the comics medium. 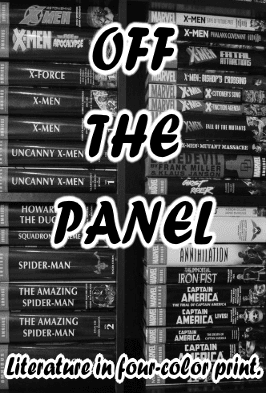 In our first entry, we look at the twin pillars of four-color publishing, Marvel and DC, and the symbiotic way they've challenged each other, cribbed from each other, and drove each other to be better. Why does DC lend itself so well to such a diverse pool of talent? How have Marvel's founders influenced their storytelling to this day? And what is the terrible secret of Planet X... in space?! or "What's so funny about peace, love, and diversity?" In this special team-up episode of Graphic Novelism, the experts on nothing real welcome their very first guest, multiple award-winning writer and artist Jamar Nicholas! They talk about the importance of comic books in a child's life, the distressing decline of all-ages books in today's adult-slanted market, reclaiming that missing balance, and how Jamar is doing his own part at curbing this harmful trend with his creator-owned title, "Leon, Protector Of The Playground"! Just why is a medium designed to make children happy turning it’s back on them? How important is it for kids to see heroes that look like them? And who IS the mysterious Japanese man living in Jamar’s computer? #24: "Recyclables Of The Dark Knight"
Or "The Strange Secrets Of This Bane!" 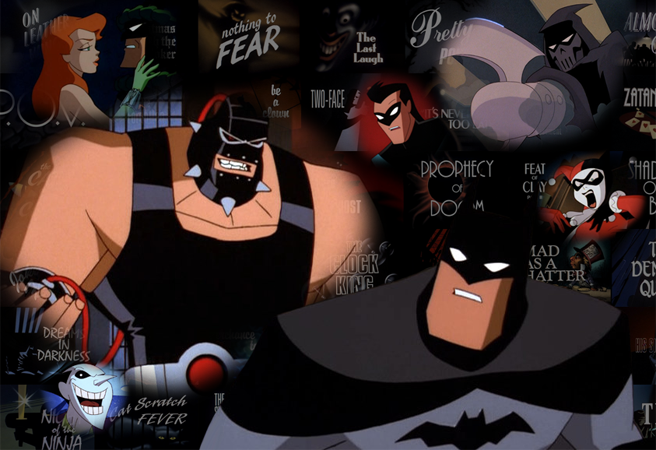 In this second and final edition of Graphic Novelism's epic retrospective of BATMAN: THE ANIMATED SERIES, Big Bad Alex, James The Squid, and Mike 'The Wheezer' Napier embark on a Demon's Quest of their own through the latter half of production in the classic show to answer lingering questions that have plagued them and the fandom at large for years. And the answers they find? They're the stuff that dreams are made of. 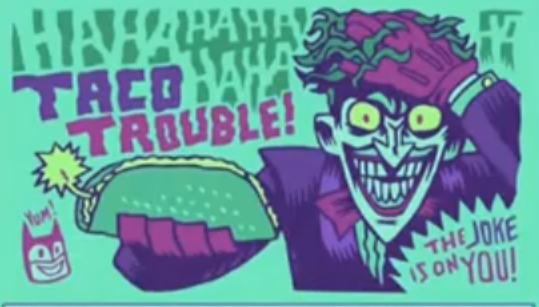 Illuminating revelations are given on everything from the production team's many clashes with Broadcast Standards and Practices, culminating into one of the most bizarre censor requests of the show's entire history, to the most perplexing redesign choices going into The Animated Series' spin-off, THE NEW BATMAN ADVENTURES. But just what did happen when the team ran out of story material for a villain they themselves redefined? Who very nearly gave the Bat-Family a fifth and perplexingly permanent member of the team? What's the story on the series spin-off that almost was? Were the actual origins behind the titular villain of the Caped Crusader's first cinematic animated outing really what we've all come to accept, or was there more to the story all along? And just what, exactly, was up with that version of the maligned villain Bane - and what hidden truths does it reveal about a key member of Batman's allies?! The Strange Secrets Of The Animated Series stand revealed at last! And as Graphic Novelism closes out this retrospective, we pay tribute to the legendary Len Wein, the man who helped give us many of The Dark Knight's greatest adventures and beyond. 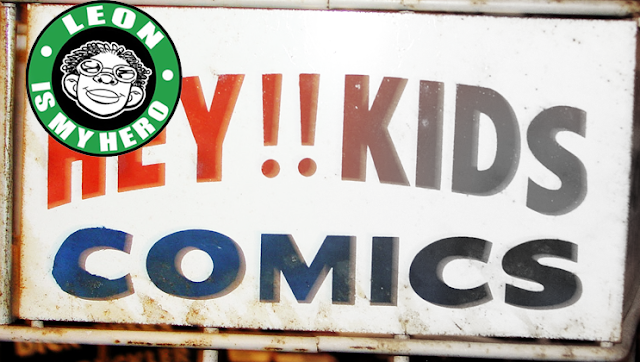 To avoid being broken by Gotham's fearsome leatherboy, listen here! 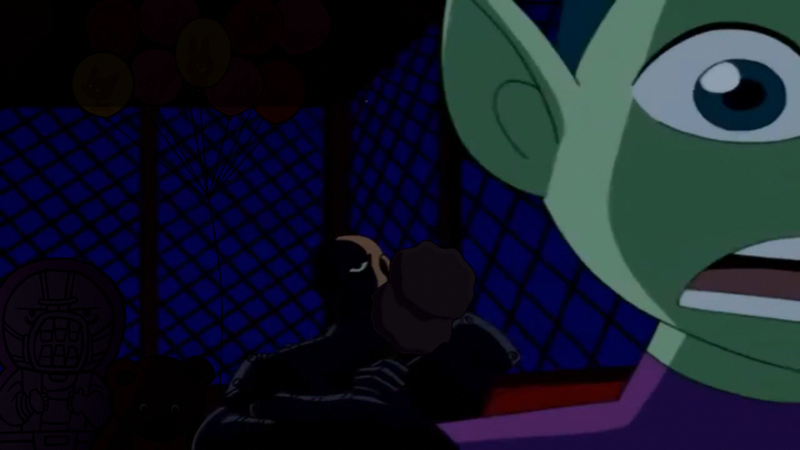 #23: "The Strange Secrets Of Batman: The Animated Series"
Or, "I've Got Batman In My Podcast!" 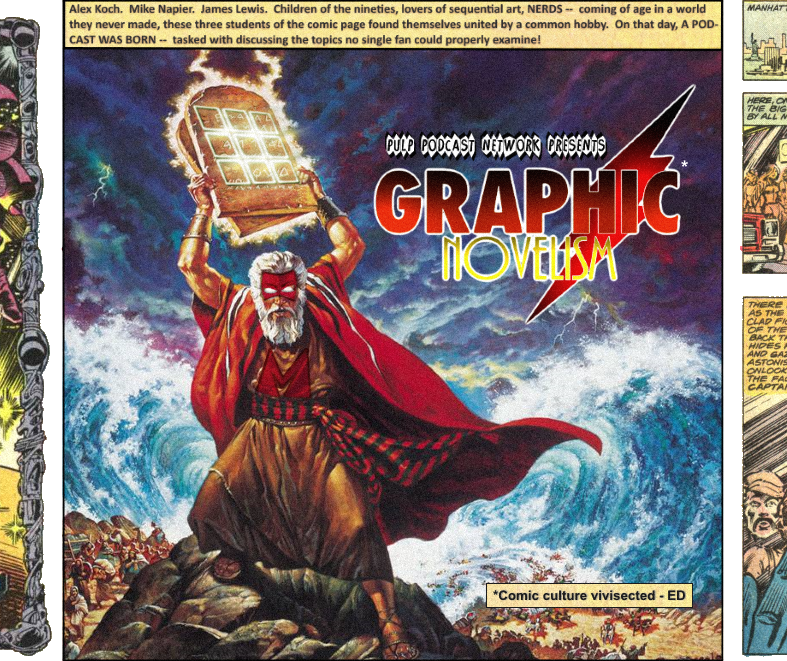 In this special edition of Graphic Novelism, Big Bad Alex, James The Squid, and Mike 'The Wheezer' Napier bare their silicon souls in an effort to transport themselves to a more innovative time in comic book animation. A time where the universe momentarily aligned, the Gods of Superheroism finally looked down upon the medium of cartoons, and uttered a single command - "Let there be vengeance." From it's surprising, often overlooked origins as a footnote on the backlot of Warner Bros. 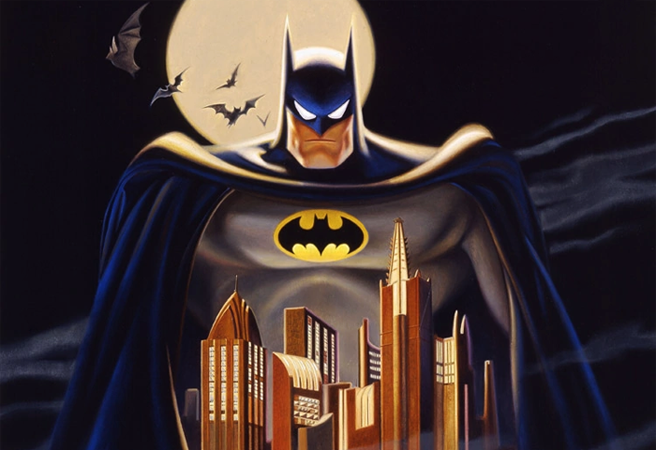 Animation Studios, to it's ascension as legendary Emmy Award-winning television, the super-scholars pay homage to the 25th anniversary of BATMAN: THE ANIMATED SERIES by detailing the dreams behind the darkness. How did a 29-year-old storyboard artist turn an innocuous duck into one of the most iconic renditions of The Caped Crusader of all time? What secret benefactor both saved the show as we know it and helped guide the hands of fate towards a ghost most gray? And just why, oh why, did audiences get saddled with the one episode of the series that we all collectively decided never to talk about? Riddles from The Minotaur's Maze are revealed in the first part of a retrospective so epic that it just couldn't be contained in one installment! To discover the secrets that Hugo Strange's mind machine holds, listen here! ...Aswell As All Four Volumes Of The Series, Available On DVD! or "Spider-Woman In: Twerk Off The Dark!" 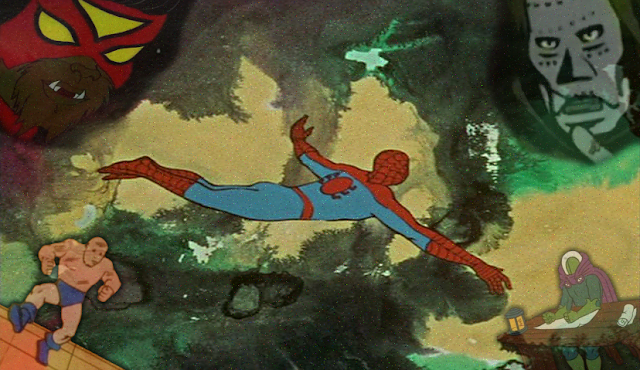 In part three of our retrospective of animated adaptations, we look at the dawn of the Marvel Age Of Cartoons, from 1966 to 1979, as we ask ourselves just how loosely you can use the term "animation" before it loses all meaning. Who are the Allies For Peace, and why do they seem so familiar? 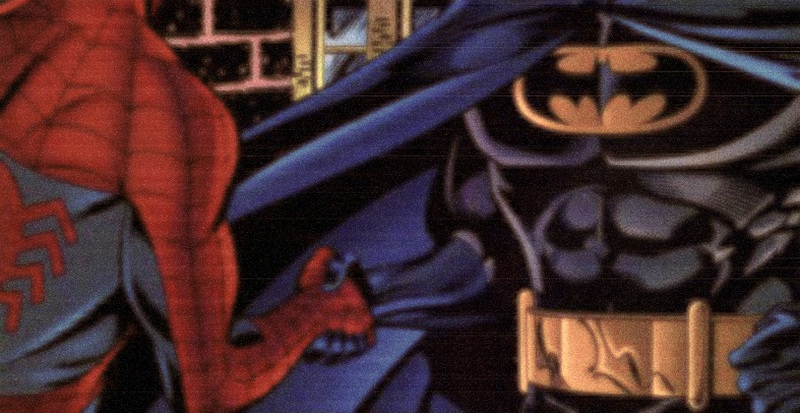 What intervention from an animation legend led to Spider-Man tripping the light fantastic? Which second-string character unexpectedly has the greatest animated series you've never heard of? And just what is the nightmare known as Fleshman, The Living Flesh? or "Slade Wilson's Carnival of Despair!" In part two of our retrospective of animated adaptations, we look at the modern age of DC shows, from the dawn of the Timmverse to the second coming of Beast Boy. 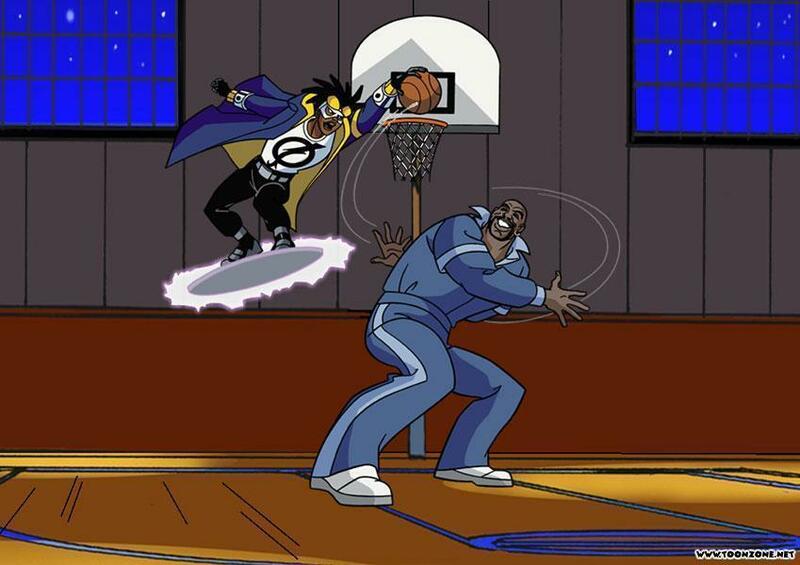 Why doesn't Static Shock get the respect it so dearly deserves? Where does Superman: The Animated Series land within the ranks of superhero television? When will fans learn to stop judging new shows by a single piece of promo art? And what is the tragic fate of the poor, disgraced Ocean Master? Young Justice season 3! Something not-horrible happened this year! or "The Strange Proposal of The Trevor-Darkseid Team!" In part one of our new, six-part series on the history of animated adaptations, we get things rolling with DC's contributions to the field from 1941-1992. 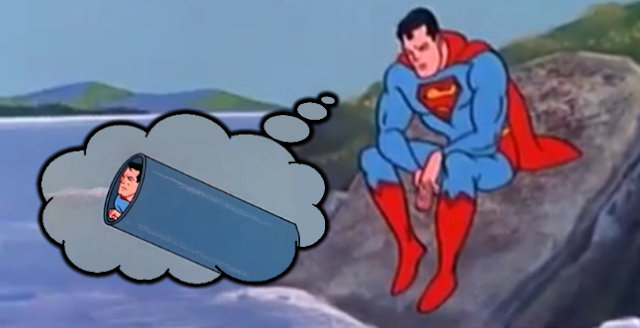 From the glory of the Fleischer shorts to the utter bafflement of the Superfriends, your hosts sift through one of American animation's greatest dry spells to solve the era's greatest mysteries: Why won't Superman stop moaning? 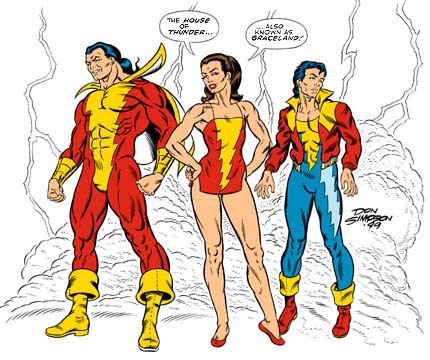 What dark secret is Gleek hiding from the Wonder Twins? And how does it all tie back to the 2002 sports comedy Juwanna Mann? The Superman/Aquaman Hour of Adventure! A union that would last the test of time. The Flash vs. Bugsy Malone: The SLOWEST melee of them all! One of the only clips from Ruby-Spears Superman we could find. Tremble before El Luthor and his senoritas! A montage from the show's Wonder Woman episode, with some particularly George Perez-influenced visuals. #16: "Forgotten, But Not Gone"
or "TERROR Of The Redundant-Flash!" 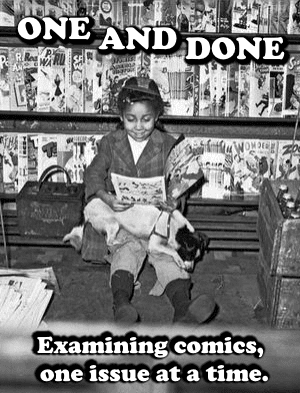 The medium of comics is filled with countless characters who have stood the test of time... that doesn't mean all of them should have. 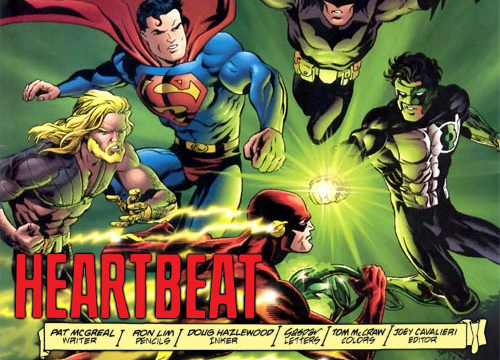 On this month's episode, the Unreal Experts count down the useless, the dated, the repetitive, the heroes, villains, and supporting cast who do not deserve to be hated, but simply to be forgotten-- except Steve Trevor. Which hunter should have stayed in the jungle? 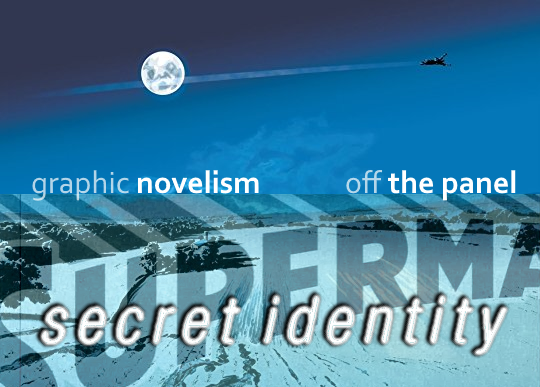 What is the terrifying secret of The Composite Alfred? And which one-man franchise has earned billions of dollars and the hearts of a generation... despite having no reason to exist? 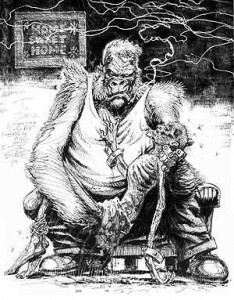 or "A Gorilla In Lady Gotham's Court!" In the finale of our series on the greatest comic book stories never told, we recount what may be the most influential comic event of the past thirty years... and not a single word of it was ever printed. 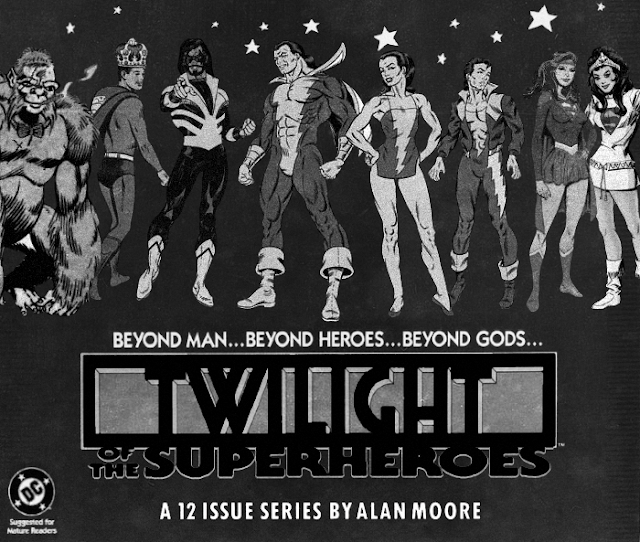 Join The House of Mistakes as they detail what was once the most closely-guarded secret in the industry: Alan Moore's pitch for "Twilight Of The Superheroes", a company-wide crossover event that would have plunged the most unlikely hero of all into a dark future, where factions made up of DC's last remaining titans vie for control of a world passing them by. Sound familiar? You have no idea. How did this one pitch sow the seeds for Kingdom Come, Infinite Crisis, and-- somehow-- Game Of Thrones? Who was "Slipstream", and what modern form did she end up taking? Why was Alan Moore obsessed with creating "the ultimate video game"? WHAT IS WRONG WITH DOLLMAN?! Alan Moore's Full Pitch For "Twilight Of The Superheroes"
or "The Iron Lantern's Emerald Escape!" 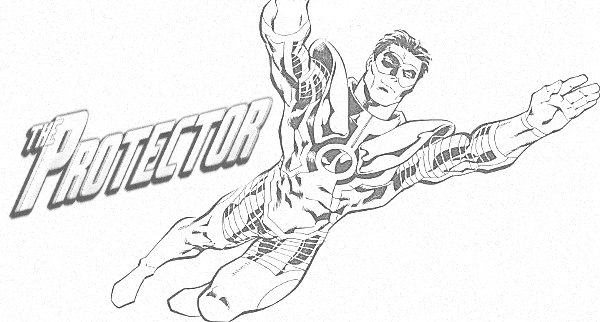 In part three of our four-part series on the greatest comic book stories never told, we uncover two epics that would have left DC Comics unrecognizable in their wake. Join The Unreal Experts as they trek through the heart of darkness to battle a mysterious adversary with plans to expose their favorite heroes' deepest frailties, are rescued by a cosmic soldier of fortune with a care-free attitude and unsettlingly familiar color scheme, and ponder along the way just how generic a company is willing to make a single character. 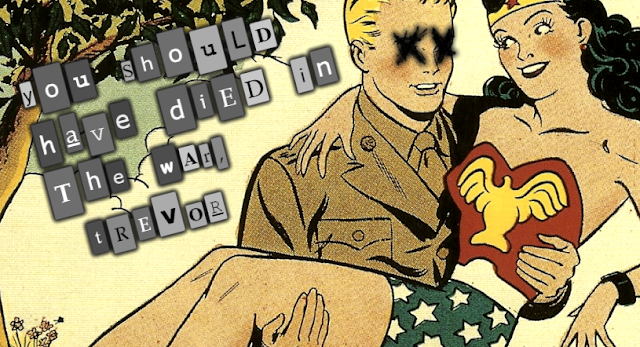 What story nearly gave the DC Universe its own answer to "Watchmen"?What was the original identity of Guy Gardner? What kind of a name is Trammel Soloman? An interview with Gerard Jones on his Green Lantern run, and "Emerald Twilight"
The original solicits for "Emerald Twilight"